Magic Carpet Cleaning has all the answer to your carpet cleaning needs in Winchmore Hill N21. We have a dedicated team of local carpet cleaners who can arrive at your address on short notice. Our technicians work with the latest and most advanced steam cleaning equipment and materials to ensure your carpet or rug is cleaned according to the highest industry standards. Don’t hesitate to call our local experts on 020 8861 0979 whenever your home carpet requires deep cleaning or stain removal services. Claim your free price quote that comes with no obligations and enjoy your freshly cleaned carpet even on the same day! Our dry carpet treatment process uses a powder cleaner sprinkled on your carpet and then hovered to get it clean. On the other hand with steam cleaning our technicians use the power of steam to clean deeply into the fibres of your carpet and to disinfect it. Our experts in upholstery and rug cleaning as well as stain removal will tackle those small and tough jobs that seem impossible. We would be happy to hear from you and help you with all of your cleaning requirements in Winchmore N21. Magic Carpet Cleaning have all the answers when you need to get your carpets, rugs or upholstered furniture cleaned. 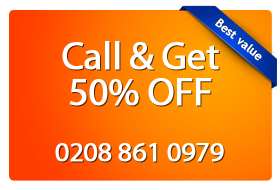 Give us a call on 020 8861 0979 for more details about our professional services and claim your absolutely free quote. Our back office assistants work 24/7 and are more than glad to help you with booking an appointment with our local team of carpet cleaners. You can rely on our experience, expertise and efficiency to bring back the good looks of your carpets.